(We're investing a lot of time and effort building a great community here so it's important that we know at least a little bit about our members. Please answer all questions, even if briefly!). Why are you interested in design? Where do you work (company, institution) or study (school) and what do you do? 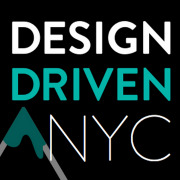 Design Driven NYC is a community that lives at the intersection of design, user experience, and technology. We are a group who believes that great design is storytelling at its finest, and that it is a critical element to any successful product. Check out designdrivennyc.com for photos, videos, and open UX/design positions across the #DesignDrivenNYC community.